The Adventure of learning Tongil Tours empowers university students, life-long learners, and inquisitive people everywhere to examine the world in which they live through meaningful learning tours to North Korea, Asia, and beyond. Now—more than ever—it is essential that travel to the DPRK and Asia focus on responsible, meaningful learning experiences that foster cross-cultural exchange and understanding. To that end, Tongil Tours creates North Korea tours that focus on building bridges and shaping experiences that stimulate questions and discussion, mutual understanding, and meaningful connections. Please join us on this mission. We are deeply committed to help create meaningful learning experiences and connections to interesting places. And we will be an economically sensible option for those experiences. 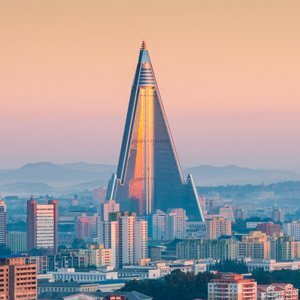 Tongil Tours are uniquely qualified to help customers understand the context in which they will travel, through introductions to the history, culture, and background of the DPRK, as well as other topics. Tongil Tours is committed to building, managing, and providing academic expertise for university course field trips and delegations that are educational and fun, and that build on our goals to deliver learning experiences, not just in-and-out tours. Tongil Tours is the only DPRK tour operator staffed by Korean-speaking academic specialists who have studied the region formally at the graduate and undergraduate levels, and personally lead our tours. We’ve partnered with North Korea-focused academics to provide curriculum support, lectures, and readings that help contextualise your trip. The Tongil Tours team have years of experience traveling to North Korea, some as early as the late 1990s. We understand the system well and have formed strong relationships and connections over time. We will apply this experience to your personal learning goals, class trip, or private delegation. Tongil Tours firmly believes that a very important part of safely navigating the North Korean culture is understanding the language. Because all Tongil Tours staff speak and read Korean, we’re able to during the course of the tour help travellers catch cultural nuances, understand messages, and assist in many other ways which would otherwise be difficult. How do I get a visa for North Korea? Tongil Tours handles every step of the visa procurement process for you, and passes you your visa prior to your departure in China or elsewhere. There’s no need to send your passport away either, because the visa comes on a separate slip of paper. All that’s needed for us to process your visa is a scan of your passport and your copy of the quick and easy to fill out visa application form. Anyone with a valid passport can go to the DPRK as a tourist. Unfortunately, we cannot take people on South Korean or US passports. Journalists and professional photographers should first consult with us before going. You are free to take photos in the DPRK. The only exception applies to photos of soldiers or military installations, or at the DMZ or certain museums where you expressly asked to refrain from taking photos. 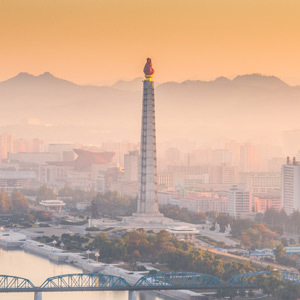 Study the Korean language in Pyongyang next summer and make friends with your Korean teachers, language partners, and tour guides all while seeing the most important sights both in Pyongyang and elsewhere in the country. 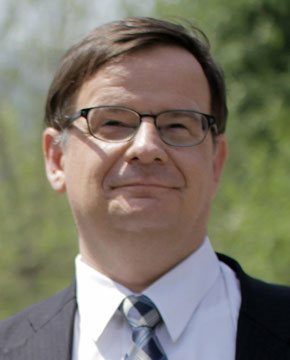 Both academically rigorous and led by the best language professors in North Korea, it will be the most meaningful and memorable summer learning experience of your life. This week-long tour of North Korea provides a a good overview of the country with visits to many of its top cultural and historical attractions. See Pyongyang’s epic monuments, stand metres from the South Korean border at the Demilitarised Zone (DMZ), stand inside buildings from Korea’s dynastic past, and get splashed with water alongside locals at the country’s biggest water park. This tour will be personally led by Tongil Tours founder Alek Sigley. We’re confident that we can deliver a great DPRK tour experience. But don’t take our word for it. Here’s what former customers say. And be sure to check out our excellent TRIPADVISOR reviews. Tongil Tours go beyond standard North Korea tours. As the only North Korea tour operator staffed entirely by Korea experts who speak the language, Tongil Tours is uniquely qualified to offer a deeper, more insightful experience. Tongil Tours is perfect for any traveller with an intellectual interest in the country’s history and culture, from students to life-long learners. North Korea tours with the expert Tongil Tours staff are safe, educational, and impactful. Our focus from the outset is to make sure that your tour is not only a special travel experience that you will remember fondly for the rest of your life, but also an opportunity to gain a deeper understanding of this much stereotyped, but little-known country. Our partners and guides all share a few key characteristics. One, all speak Korean at an advanced level; two, all have studied the DPRK and Northeast Asia at the university level; and three, all have extensive on-the-ground experience in North Korea. Some Tongil Tours staff have experience with travel to North Korea since the late 90s. Because of this, we bring unique insight into the cultural nuances of this fascinating country that we share before, during, and after each tour. 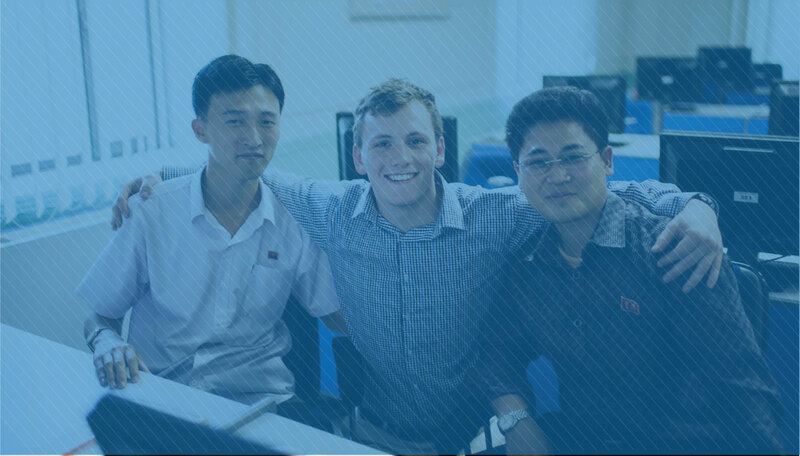 In the end, because of our backgrounds, networks, and language ability as a team, we create opportunities to understand and connect with North Koreans that you will appreciate for the rest of your life. We also partner with world-renown academic specialists on North Korea to deliver insightful lectures and rich readings to help you get that little bit extra out of your trip. Ultimately, our goal is to create safe, educational, and unforgettable North Korea tours of the highest quality. From the monumental ensemble of Pyongyang, buttressing the Taedong River, to the historically charged Panmunjom on the DMZ, where the Korean Armistice Agreement was signed in 1953, we build unforgettable North Korea travel experiences that you will not forget for the rest of your life. We’ve designed all kinds of itineraries, from classic overviews to specialist adventures such as educational excursions into the agricultural system, studying Korean in its universities or learning about its history and politics. Whatever your interests are, Tongil Tours has the perfect itinerary for you.